Bellefonte has tons of remodeling going on right now. With the waterfront project nearing completion and the remodeling of the historic Cadillac building there has never been a better time to become part of the Bellefonte Community. Bellefonte has tons to offer everyone. Right in the middle of town sits our historic courthouse with the Soldiers and Sailors War Memorial right out front. Also in the center of town is Talleyrand Park. 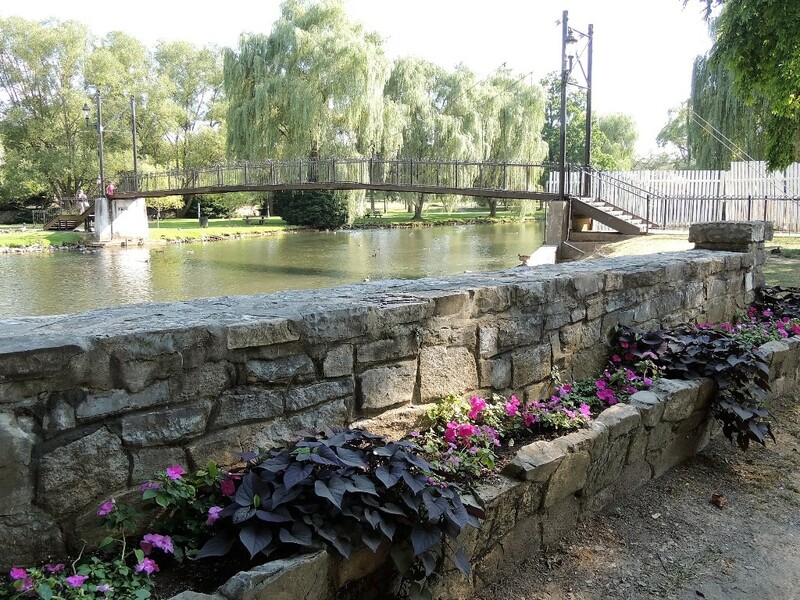 Talleyrand Park is home to lots of activities through-out the year from the annual Arts and Craft Fair, the yearly Easter Egg Hunt, and the outdoor Shakespeare festival. You could also just spend the day picnicking and feeding the ducks. The Match Factory is nearby and has recently began taking reservations for wedding receptions and other events. Are you a car enthusiast? You are going to love the annual Bellefonte Cruise. You can go downtown and look over all of the antique cars and enjoy the 50s dance concert. There are also lots of small shops and great eateries like the Gamble Mill and the Bellefonte Wok. Touring the Bellefonte Art Museum is a wonderful way to spend a rainy day. When Christmas rolls around Bellefonte does not disappoint. We offer the very well-known Victorian Christmas where you can enjoy food, concerts, caroling, and horse drawn carriage rides. We also have the very popular Polar Express that your children will love and the train station is conveniently located next to Talleyrand Park. You and your family will love being a part of the growing Bellefonte Community.